Episode recorded on September 17, 2015. – The Mini Spinalong is extended until Christmas. You can use #minispinalong on Instagram. There will be random drawings from now until Christmas, from the hashtag on Instagram and the chat thread on Ravelry. – Claire of NH Knits just released her first pattern, the Agatha Socks, and has kindly offered a copy as a prize. Check out the Ravelry forum to enter. – I am starting a KAL in the group for my new design, the Bonbon Shawlette, which was just released. (I also mention the Verdure Shawlette). The prototype was knit out of Fondant Fibre Austen High Twist, in her Gaia colourway. I made a long-sleeved Day Tripper Top, that still needs pressing. I made it in the spirit of the Curious Handmade Wardrobe Challenge, as it goes perfectly with my Fireflies Rising Shawlette. – Handbrake Cowl, by Dan Jones of the Bakery Bears Podcast, out of Lang Yarns Merino +. – Windswept Shawl, by Molly of A Homespun House, out of Malabrigo Silky Merino in the Madre Perla colourway. 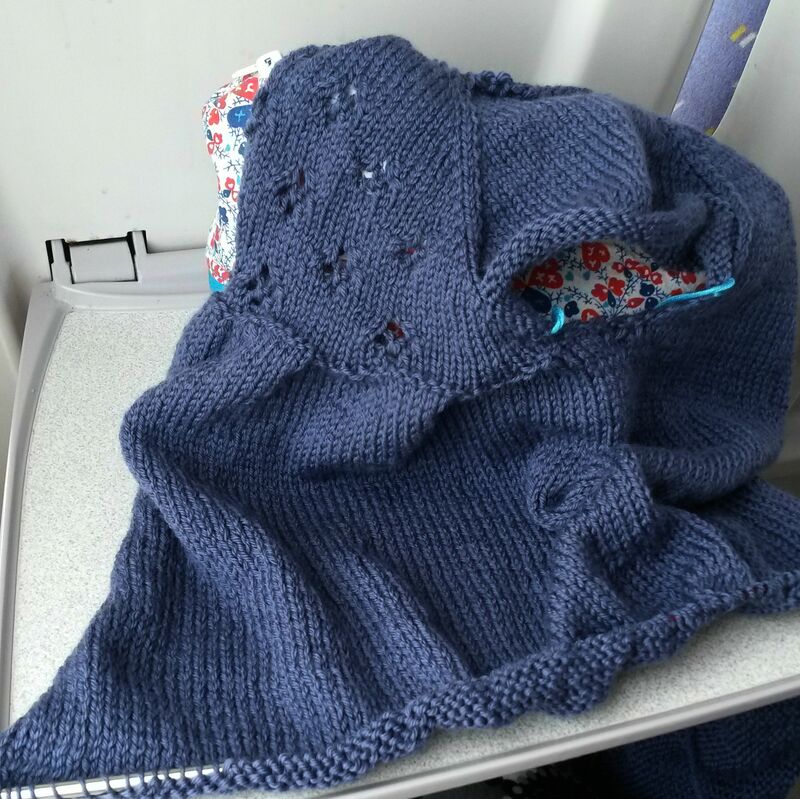 – I am planning a Campside shawl out of Rowan Baby Merino Silk DK, in the Zinc colourway. Pebbled Beach in Shetland and sea cell from Sara’s Texture Crafts Colour Club I, plied with Drops Lace in the Natural shade.